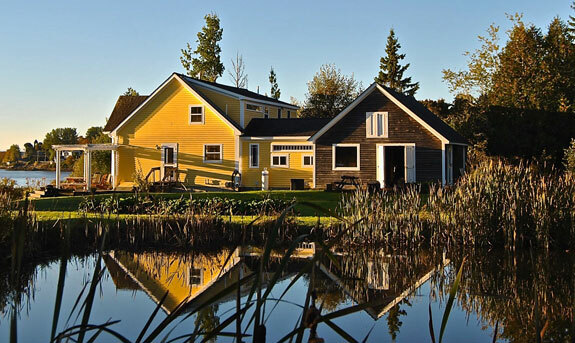 Although I’ve owned my own rental homes for over 15 years, I started my vacation rental business, Wicked Awesome Maine Vacation Rentals, about two years ago. A very important thing on my to-do list when I started was to find a way to improve the community where my business is located. Some of the most amazingly beautiful places on earth are sadly often the ones that are the poorest. The very thing that brings tourists to the area contributes to a seasonal, part-time economy. In my case, rural DownEast Maine, the economy is driven by seasonal jobs of fishing, tourism, blueberry harvesting, and, in the winter, wreath making. Even though I wanted some sort of way to give back right from the start, I was always too busy and any ideas I had were pushed to the back burner. Then, a few months ago, I learned of the organization Pack for a Purpose. It was the inspiration I needed to get started, and I quickly contacted the organization to see how I could get involved. I identified two community projects in my area that I felt could benefit from donations from tourists in the area. I felt they were good choices because guests in my vacation rental homes could easily contribute to them. 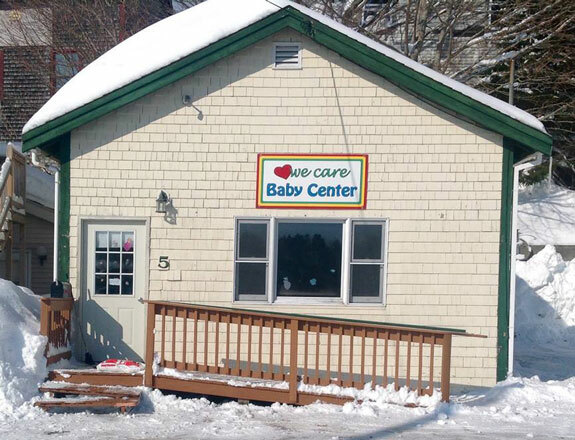 One of the organizations is the We Care Baby Center (in Machias, Maine). Many of my guests are families, and I thought it would be a great way to get children visiting the area to participate by contributing to a cause that benefits children. My second project was a no-brainer- the Machias Food Pantry. When guests come to the end of a week or more stay at a rental home, they often have extra food that they purchased, but never opened. Often times, they are departing via airplane or automobiles stuffed full of souvenirs, and just cannot take their leftover food with them. This makes the donating easy. For each rental, I leave a basket for the leftover food and a note explaining the project. It is an easy way to give back to the community that the guests have surely come to love. What did I expect when I started less than three months ago? Maybe a box or two of pasta, a can or two of vegetables per guest stay. I wasn’t prepared for the wonderful surprise I received. It was early in our season, just before summer when I had only about five guest stays among my homes. 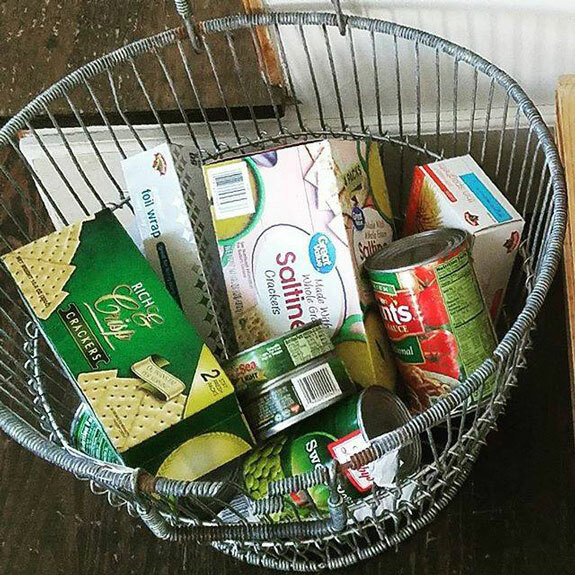 I do not actually live in the area where my vacation rentals are located, so I stopped by on my way through town and my baskets were heaping with food products and diapers. I would estimate that each guest must have donated a heaping grocery bag full of products. I also received several phone calls from people who had discovered my rental agency on the Pack for a Purpose website. Although some were not traveling in Maine, they wanted to send a donation to the projects that I supported. One of these phone calls was from a mom of two teenagers. The family lives in Massachusetts, but owns a vacation home in Maine. 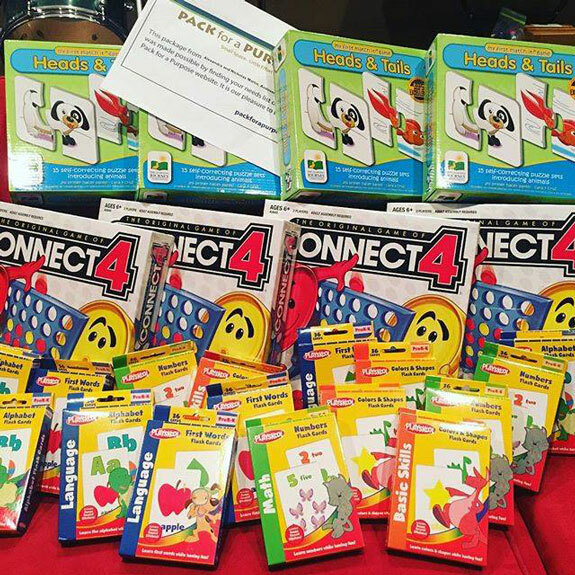 Every summer, her kids pick a non-profit to support. This summer, the kids decided to collect donations for the Baby Center in Machias and the Machias Food Pantry. 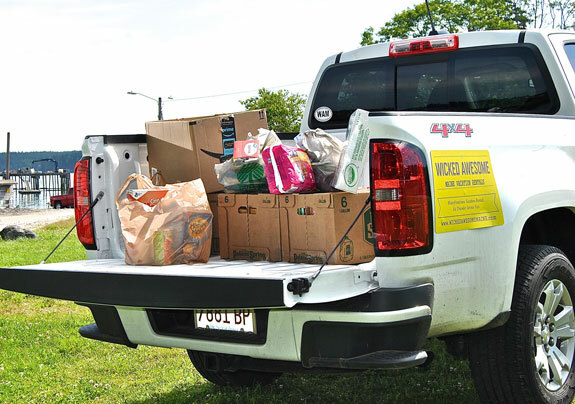 I offered to stop by on my next trip through Massachusetts to pick up the donations, so one day last month, I went to their family home and packed my pickup truck. When I say packed my pickup, I really mean “PACKED”. The teens, Alex and Nick, had collected: 3 dozen rulers, 3 dozen erasers, 1 dozen safety scissors, 32 dozen pencils, 6 dozen pencil sharpeners, 24 dozen pens, 2400 crayons, 720 colored pencils, 1/2 dozen glue sticks, 8 notebooks, graph paper, lined paper, board games, flash cards, puzzles, and books. If that wasn’t enough, they also raised almost $300 for the food pantry. When the trusty pickup was full, I set off to Washington County, Maine to deliver the goods. I’m off to a great start and I hope that my business will continue to be successful – not only for the local economy, but to benefit the community projects as well. I’m hoping that other vacation rental owners in the area are also collecting donations to give back to the people who live in this amazingly beautiful location. My journey has been a privilege so far. I was and continue to be truly humbled by the kindness and generosity of people from all over the world.